A large home which opens up to reveal 4 rooms, a moveable stair case, a balcony on the first floor, 4 chandelier sockets and 2 extend pieces for the ground floor rooms. It came complete with a detachable carport and roof terrace. 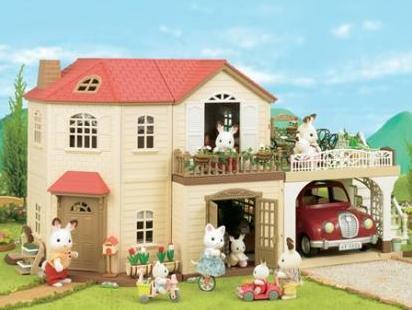 Maple Manor was home to the Chocolate rabbit family. 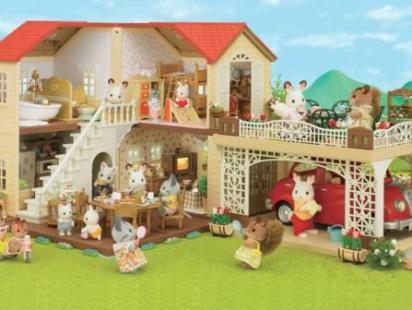 Maple Manor retailed for £74.99 and was discontinued circa 2016.